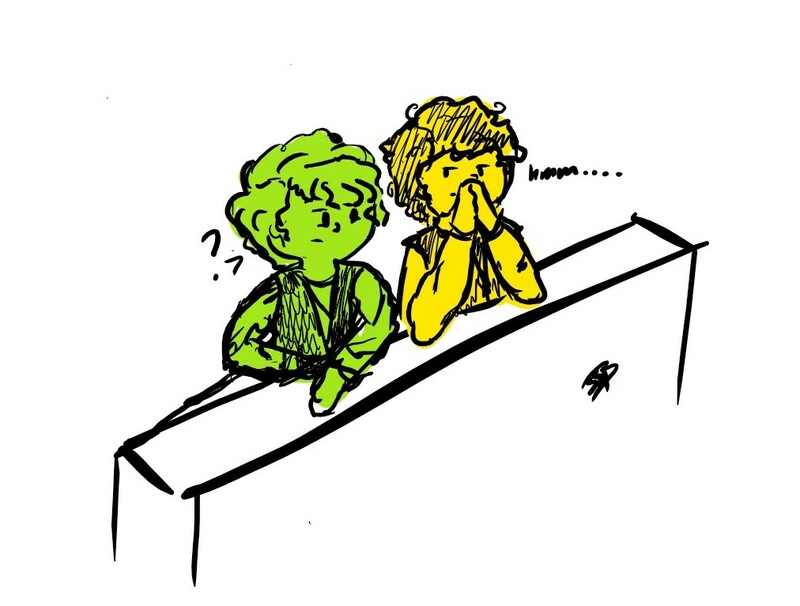 Novus Papilio: Happy Hobbit Day! 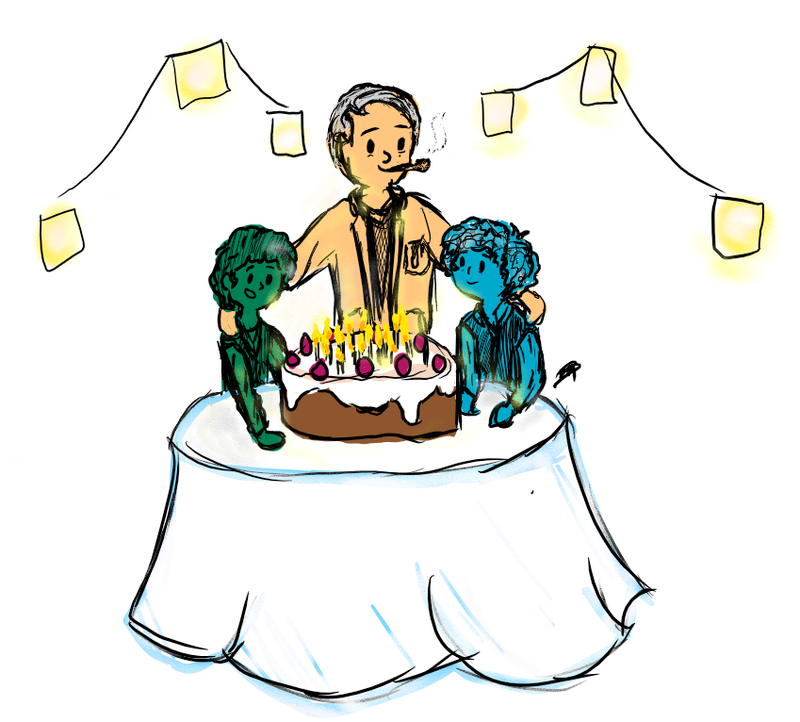 From left to right: Frodo, J.R.R Tolkien and Bilbo. 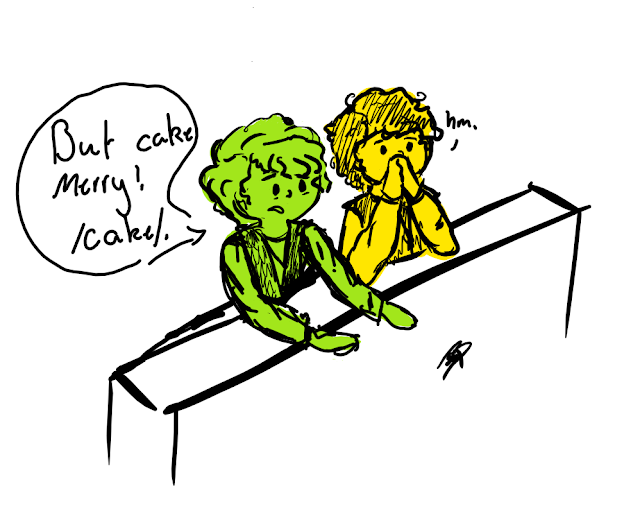 Happy birthday to my two most favourite hobbits! Don't worry, Pippin. 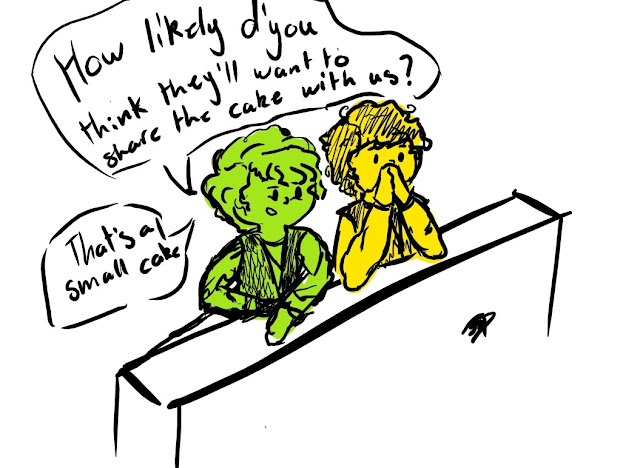 I'm sure Frodo and Bilbo will share the cake. Happy Hobbit day, Sarah! 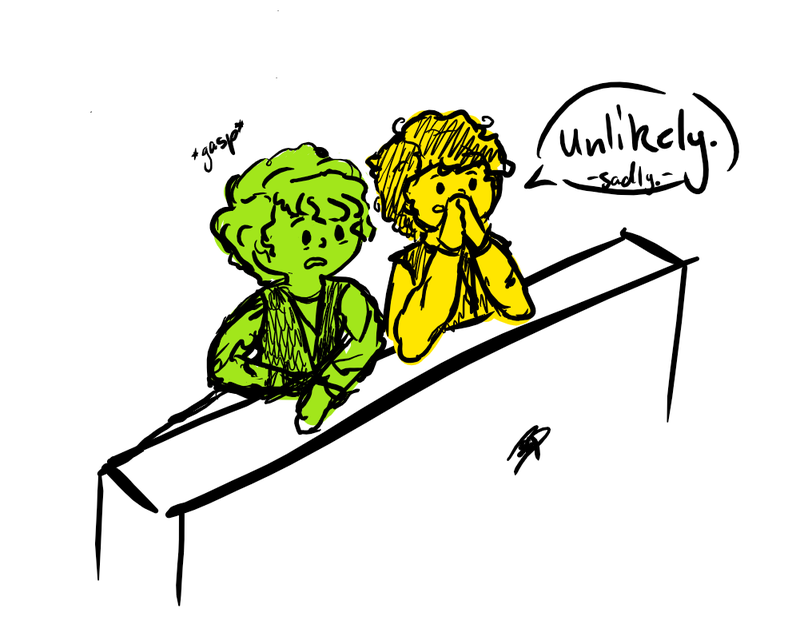 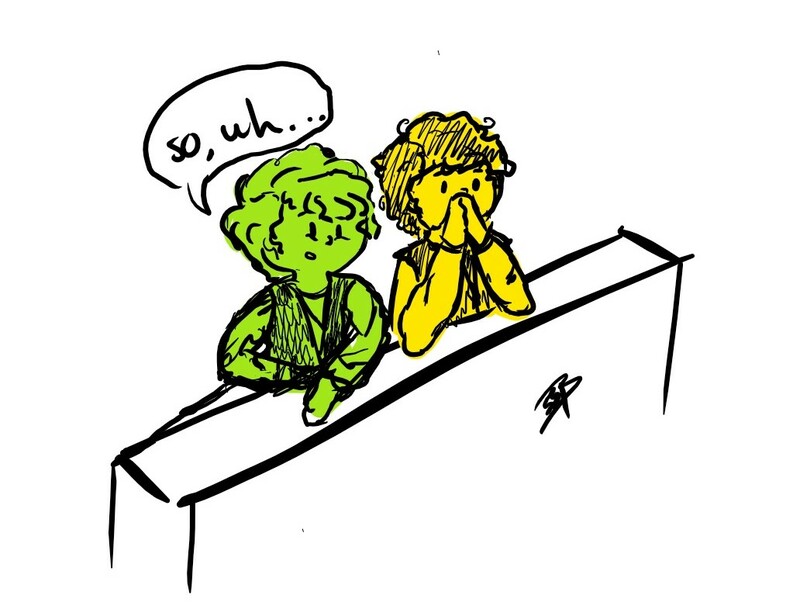 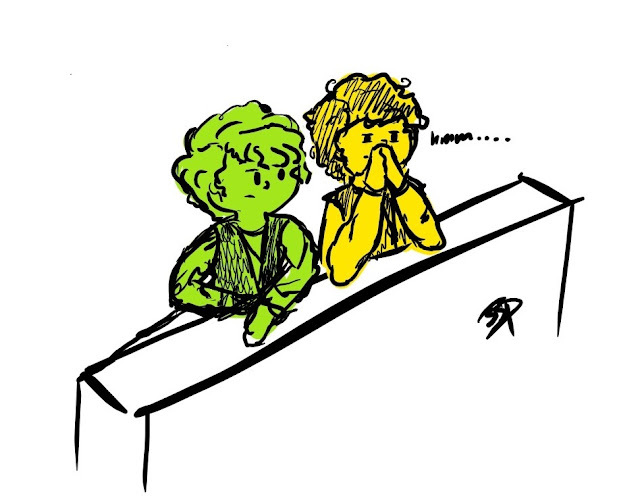 :) I love the comic of Mary and Pippin.